If you live, work in, or are visiting Hollywood, and you want to find the best shop in the area for auto glass repair near me in the city, then you should definitely spend some time researching the available mobile auto glass repair shops in the city. If you want to hire an established auto glass shop with a reputation for excellence, then you should give the team at Hollywood Car Glass a call today. Our team is able to take care of the full range of car glass services that you might need ranging from auto window repair to a full windshield replacement. We even take care of small jobs like fixing your side mirrors and more. No matter what your needs are, our mobile repair team can do it all for you when it comes to car glass repair. No one really enjoys the look and feel of their automobile once it starts to accumulate various cracks and chips in the auto glass, so why put up with it? Our mobile repair shop has been open for more than two decades and counting now, and our expert technicians are able to get auto glass repair jobs done in less than 30-45 minutes on average and most replacement jobs will take between one and three hours to get done correctly on the first try. Our team also has a wide range of experience, and we have worked on the windows of all types of both foreign and domestic automobiles. Throughout our more than two decades of being open for business, our shop has consistently offered the best warranty that you will find around town. 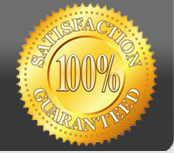 We stand behind all services that we offer 100%, and you will be glad that you hired us today. If you would like to discuss specifics for your auto’s glass, please call our customer service representatives when you have a minute.